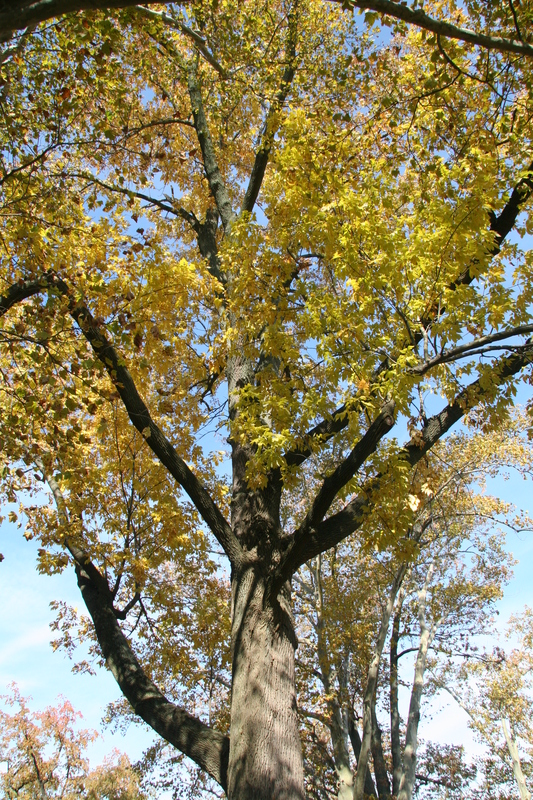 Bitternut hickory is one of four hickory species (along with mockernut, pignut, and shagbark) that are common in Delaware. In general, hickory trees are identifiable by their alternate, compound leaves. Much like other hickories, bitternut displays brilliant yellow fall color. Hickory wood is durable, very hard, and commonly used for tool handles. As the name implies, bitternut hickory has nuts that taste bitter. Bitternut hickory has leaves 6 to 10 inches long with 7 to 9 oval leaflets. The tree has a straight trunk and can grow to over 100 feet.